Learn more about our vision for Catholic Schools including new information about the Variable Tuition Program which will help families. In the spirit of servant leadership, the Office of Catholic Schools provides vision, direction, and supervision to Archdiocesan Catholic school communities in order to assist them in the achievement of their mission to proclaim Christ and form authentic disciples. 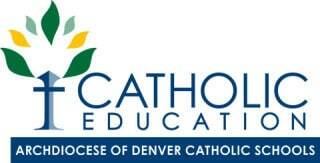 The Archdiocese of Denver Catholic Schools give parents confidence that their investment in a Catholic School education will support their child’s complete development and personal success. A rigorous, time-tested curriculum taught by committed faculty in a faith-based and nurturing environment results in measurably accomplished academic achievement. Catholic teachings, faith and traditions are integral to a curriculum that reinforces what is taught at home, including virtues of discipline, respect and responsibility. These will provide guidance and inspiration as your child navigates life’s challenges.